Arucana is such an interesting scented geranium. 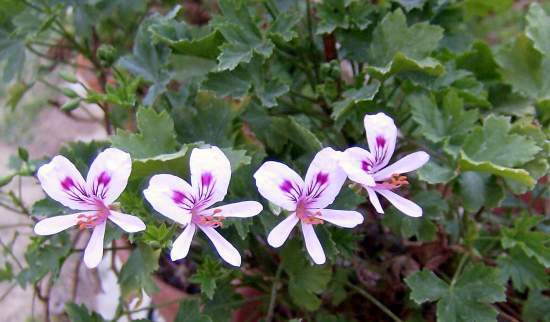 It has smooth leathery leaves and really lacks that distinctive Pelargonium look. Until you get to the flowers, which are obviously Pelargonium. Arucana is a gardenia scented geranium. The scent is very light, but if you stick you head in the leaves on a hot summer day, you will get a whiff of gardenia. This is the first year I have found seed pods on Arucana – two of them!